Built for heavy load capacities. 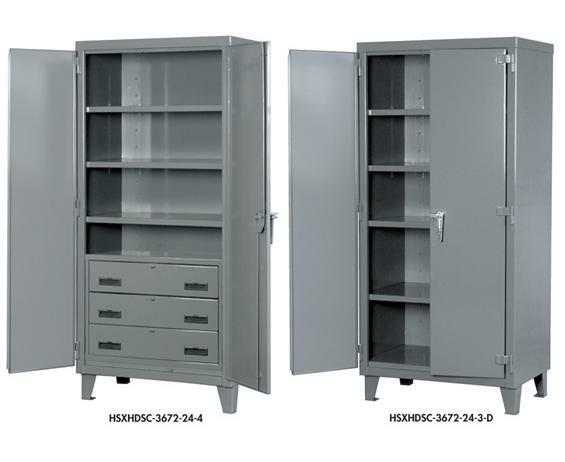 Perfect for storage of unusually heavy items. Superior 12 ga. steel construction supports loads up to 2000 lbs. evenly distributed. Shelves adjust on 4" centers. Durable handle with padlock tab combined with locking rod assembly provides maximum security. Cabinet includes 6" legs. Includes X-treme Duty welded hinges. FOB Shipping Point. 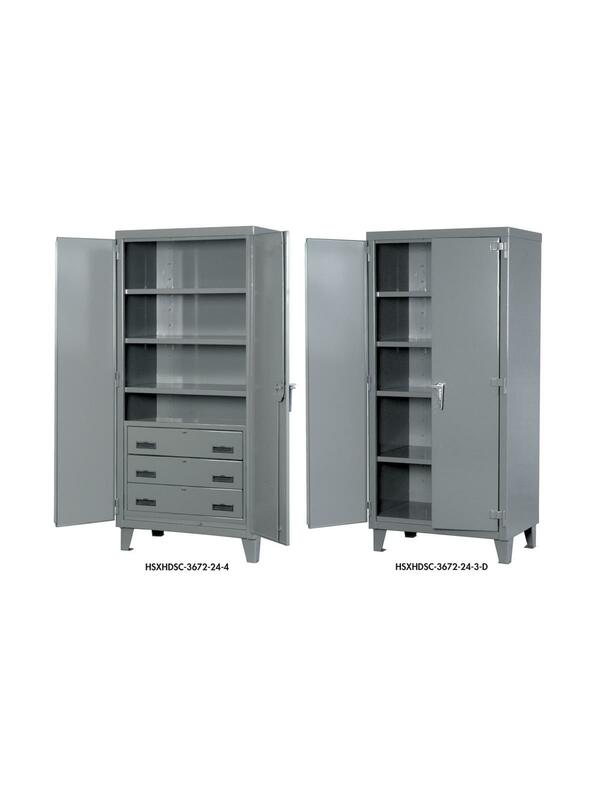 See Related Items tab for Super Extra Heavy Duty Cabinets - Extra Shelf. 60 x 72 x 24"60 72 24"